Panna Cotta, as we all know, is delicious Italian treat of gelatinized flavored cream and I am in love with this dessert to the core. Whenever, I am expecting guests at my home, most of the time panna cotta hits me for the dessert, and I start blending the flavors in my mind. It is super easy to make dessert. 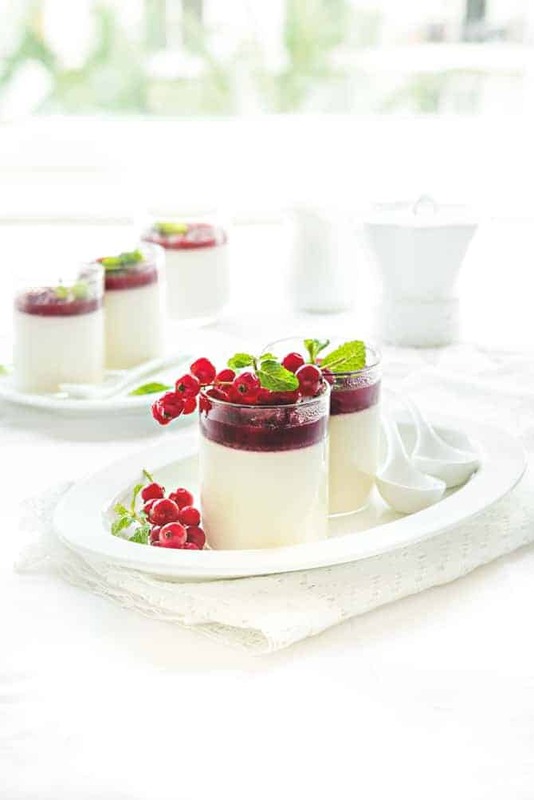 Combination of panna cotta with berries like Dragon fruit-yogurt panna cotta with balsamic cranberry jelly or Mango Vanilla panna cotta with blueberry sauce are just out of the world. Panna cotta with chocolate and fruit like White Chocolate Peach Delight Panna cotta always wins the crowd. Whatever the combo is, panna cotta is just irresistible. Sometimes back, I got my hands on fresh gorgeous red pearl beauties – Red currants, grabbed it and stored in freezer with the thought of, soon it will merge with some sweet base to turn into luscious dessert. 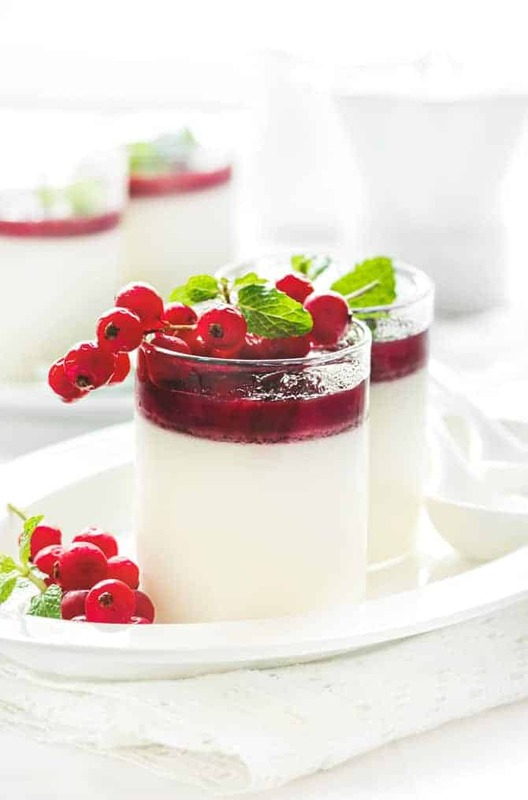 So, this sweet and tangy, berrylicious Lemon panna cotta with red currant sauce came into being and placated the taste buds receiving tons of palms. 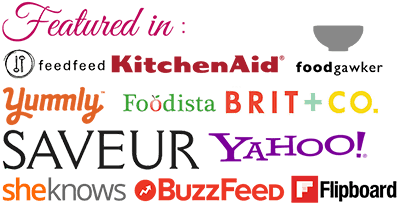 Red currant can be substituted with any of your favorite berries, in case if red currants are not available. Simmer until it turns into bright red sauce consistency. Take the pan off the heat and cool, refrigerate. Place the pan on the heat and bring to a boil. Add sugar as per taste keeping in mind that lemon syrup and currant also had sugar, so add it accordingly. Add gelatin into the cream and mix until well blended. 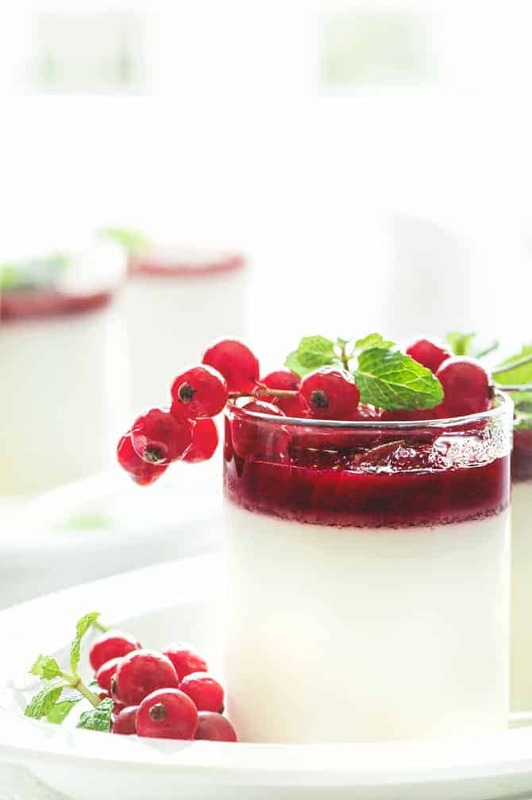 While serving top the panna cotta with red currant sauce and serve. how many portions? or did i miss it? portion totally depends on how big cup or bowl or glass you are using to set it . 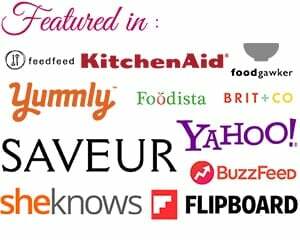 Receive updates on newly posted recipes! Farrukh is a microbiologist by qualification turned into a Food enthusiast. Winner at Indiblogger Awards & IFBA.